Can’t make it to any of our training courses, or want to supplement your knowledge between events? Then here’s a dedicated EOS training programme which you can watch online 24/7 on your PC, Mac, tablet or smartphone. This comprehensive training programme, made up of more than 320 video tutorials, allows you to stream the content online 24 hours a day, seven days a week. 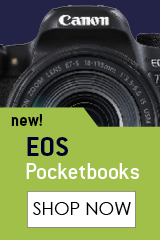 This allows you to fit your EOS learning into your busy schedule in small bite-size pieces. Every month we add new, easy-to-follow tutorials to the library so the programme continues to expand and grow as your own skills develop. The online training programme is split into 13 modules, so you can easily find the topic you want to view. Each tutorial last between 5 and 25 minutes and deals with a specific photographic topic, camera usage, function or technique. If you have one of the more advanced cameras, such as the 7D, 7D Mark II, 70D, 5D Mark III or 1D X you'll also find in-depth modules on some of the more complex features of these cameras, such as focusing and customisation. This is a great resource for all Canon EOS photographers – whether you are totally new to photography or are experienced, there will be something to expand your photographic expertise. All this is available by annual subscription for only £79. This will allow you unlimited access to all tutorials for a period of one year. 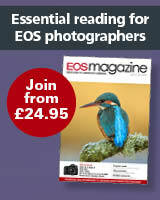 Sign up online or call 01869 331741 and we'll get your subscription set up for you. There are five free tutorials available so you can sample the programme. Watch now – no need to register or create an account. We also have an introductory video about the system simply click on the window below to play the video.